What Is Geriatric Social Work? Adjusting to old age is somewhat difficult for most people. Elderly individuals often have to find ways to cope with all sorts of changes in their lives, including health, financial, and social issues. Geriatric social workers, however, can help elderly individuals adjust to and cope with problems they may experience. These professionals help make sure the needs of their elderly clients are met, each and every day. They might help them with financial issues, medical care, mental disorders, and social problems. Financial problems, such as living on a fixed income or finding employment. Medical problems, such as finding adequate care or applying for medical benefits. Mental health issues, such as depression or grief. Social issues, such as loneliness or finding social activities. Helping elderly individuals is typically the most rewarding aspect of a geriatric social work career. However, not everyone is a good fit for geriatric social work careers. If you’re looking to start a career in this field, you should truly enjoy working closely with elderly individuals. You should understand their unique needs, and respect all that they have to offer. You should also be a patient and organized person, with excellent communication skills. Why Do We Need Geriatric Social Workers? According to the Administration on Aging, the number of elderly Americans over the age of 60 jumped from 378 million in 1980 to 759 million in 2010. That’s over twice as many elderly individuals in this country today, as opposed to around twenty years ago. Because of medical advances and a higher quality of living, the average life expectancy of Americans is expected to continue rising in the coming years. Due to the increasing number of elderly individuals in this country, individuals interested in geriatric social work careers are needed more than ever. The main goal of a geriatric social worker is to make sure that the needs of his clients are met. Before he can do this, however, he must first assess each client in order to determine exactly what their needs are. Assessing elderly clients is often achieved a few different ways. Typically, a geriatric social worker will meet with and interview a new client. He might also interview family members and care givers, such as doctors and nurses, and possibly look at the client’s medical records as well. If the client still lives at home, the home visit is another very important part of this assessment. The geriatric social worker will typically visit his clients at home to ensure that they live in a safe environment and that they have everything that they need. Assessing their elderly clients can help geriatric social workers determine what they may need. It also helps them determine what their clients’ abilities and limitations are. The social workers can then work on a plan to help meet the needs of their clients. This usually involves helping clients utilize services that they may not have known about or that they may have found confusing or complicated. For example, a geriatric social worker who finds that a client is struggling financially may help that client either find part-time employment or apply for financial assistance, depending on that client’s abilities and limitations. One of the most common mental disorders that elderly Americans may be treated for is depression. Elderly individuals account for nearly 15% of suicides in this country. A geriatric social worker will also look out for his clients’ mental well-being as well. They may offer counseling services, for instance, or refer clients that need mental health services to counselors, therapists, or psychologists. 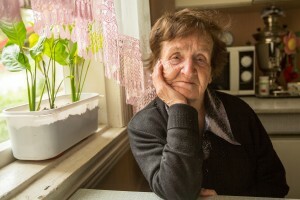 Geriatric social workers will also keep their eyes out for signs of elder abuse and neglect. This form of abuse might occur in facilities such as nursing homes, or in the elderly clients’ own homes. If a social worker discovers that an elderly client is being abused, he will often remove the client from the situation and find her a suitable and safe environment. Periodic evaluations for each client is another very important part of a geriatric social work career. These types of social workers will often check on each of their clients on a regular basis. This allows them to determine if their clients’ needs have changed. Where Do Geriatric Social Workers Find Employment? Many geriatric social workers find employment with government agencies, either at the local, state, or federal level. As a geriatric social worker, you might also be able to find employment in hospitals, nursing homes, retirement homes, senior centers, community health centers, and mental health clinics. What Are the Education Requirements to Become a Geriatric Social Worker? A minimum of a bachelor’s degree in social work or gerontology is usually necessary for starting a geriatric social work career. Some geriatric social workers might also have nursing degrees. Since most states also require geriatric social workers to become licensed, you should also consider earning a master’s degree as well. In order to take the social work licensure examination in your state, however, you’ll most likely be required to complete about 3,000 hours of supervised fieldwork as well. What Is the Salary of a Geriatric Social Worker? Social work is a very general word to describe a much more nuanced industry. In the interest of simplicity, the U.S. Bureau of Labor Statistics separates social workers into four categories. One of those categories is healthcare social workers, which is the closest approximation to a healthcare social worker. The BLS estimated that annual average salary of geriatric social workers as of May of 2014 was $53,590 and in many states, geriatric social workers can expect to earn an annual average salary above $60,000. As with most professions, salary as a social worker will most likely be influenced by employer and the industry involved.